Earlier this year, I had the chance to visit Toronto again. I explored the Yonge Street and Dundas Square area at nighttime, which I think is one of the busier areas of Toronto. 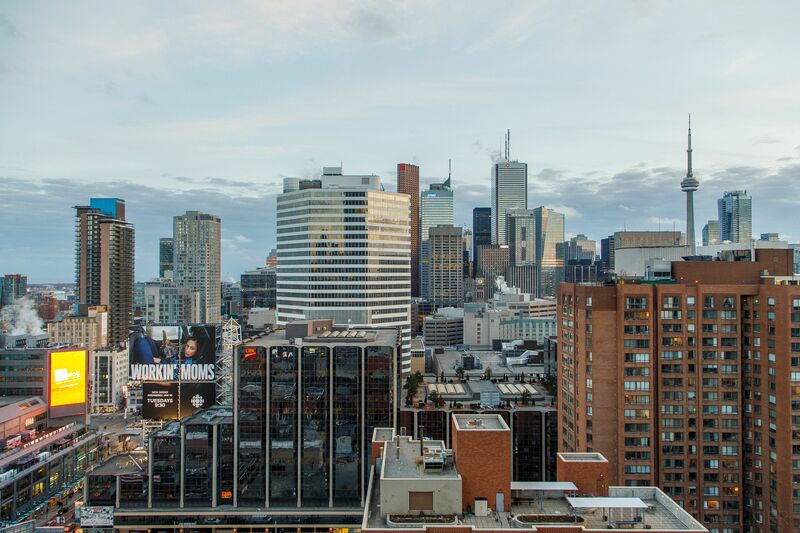 The Toronto skyline as viewed from the Chelsea Hotel of course features the iconic CN Tower. The advertisements and glowing lights at the left are only a sample of what you’ll actually see at the street level of Yonge Street. 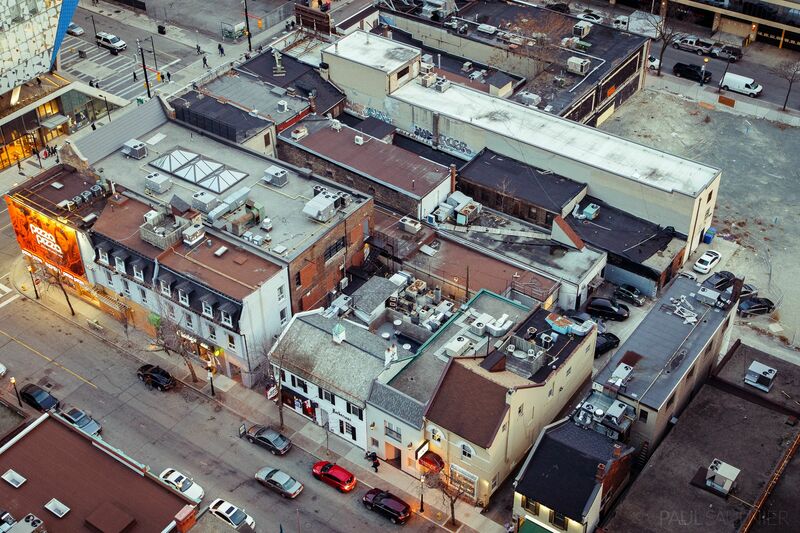 These old buildings add a unique character to Toronto’s vibrant neighbourhoods. 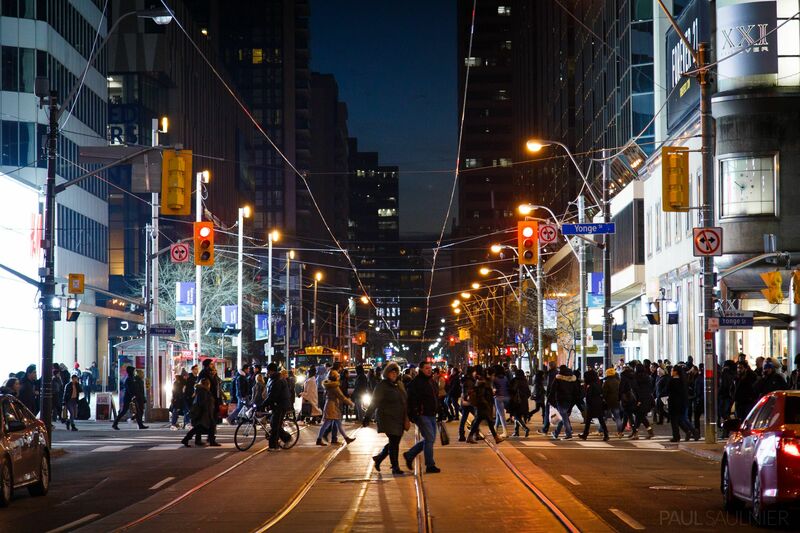 Even at night, hundreds of people fill the streets and downtown shopping centres. 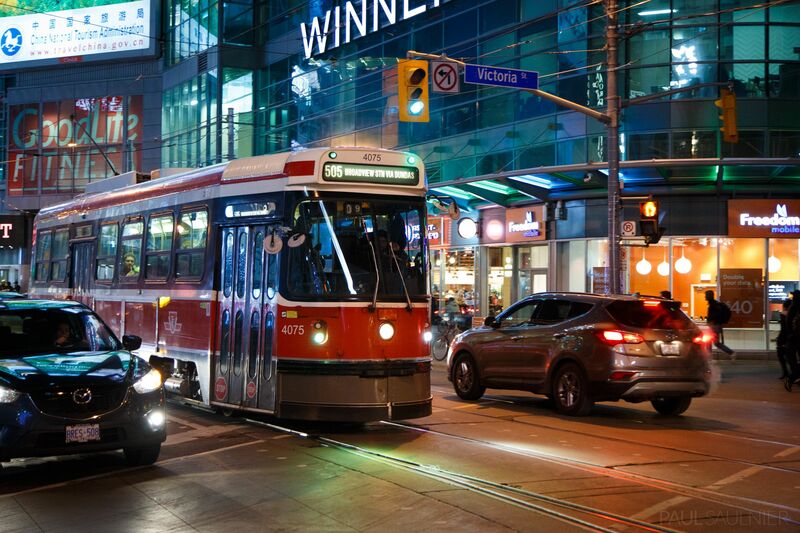 Streetcars are still used in Toronto. I’ll have to make a point to ride one during my next visit.